Welcome to Tomorrow River Country! Thank you for joining me. Please come on in and make yourself at home. You are in for some fine listening. The recordings represented here are the creation of a group of talented musicians based in and around the heartland of America. These well-travelled songs have been shared with thousands of listeners in live performance. In a sense, these songs have been voted on and chosen "best of show". I recommend them to you with a deep feeling of earned pride. 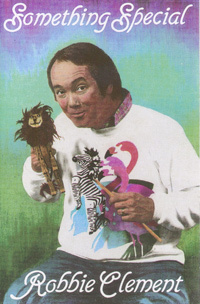 If you are new to Tomorrow River Country, just start anywhere. Relax and explore. Take your time to get to know us. When you have, come see me at one of my concerts - I'd love to get to know you. If you are one of my loyal fans, here’s a special thank you. Because of you the reality has been better than the dream! 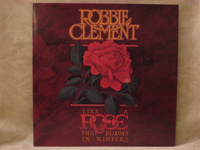 Robbie Clement's debut album demonstrates his tremendous range of abilities as a musician and a songwriter. This recording features Robbie on banjo, guitar and vocals, backed by some of the Midwest's finest musicians on recorder, fiddle, harmonica, Appalachian and hammered dulcimers, Irish harp and bass. "As a songwriter, Clement couples an uncanny flair for melody and harmony with a sweet and simple sense of lyric poetry...everything a good folk album should be." Click each title to hear a song preview. Windows Media Player is recommended to listen. 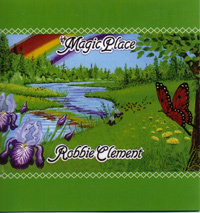 "...a delightful, playful collection of songs for kids...totally infectious...THE MAGIC PLACE is a colorful fantasy land." "Poetically, musically, emotionally and artistically...this is, quite simply, the finest work Robbie Clement has ever done. It's a great celebration of friends making music for and with each other." 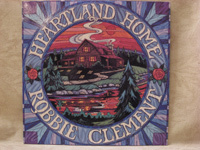 "Robbie Clement's new album HEARTLAND HOME has all of the cozy feeling embodied in the patchwork design on its beautiful blue cover. Once again, his Midwestern spirit shows through both in his own compositions and the other carefully selected pieces on this recording." "A good time that is good for you?! Who knew? From lullabyes to rock'n'roll, this one is sure to become a family favorite. 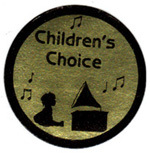 Once again this musical pied piper proves why his music is truly something special!" Guitar, bass, fiddle, harmonica, dulcimer, mandolin, piano, percussion, steel drums, electric guitar, jawharp and the SOMETHING SPECIAL chorus!